The last time we saw Max Rockatansky, in 1985’s Mad Max Beyond Thunderdome, he had saved a group of children in the post-apocalyptic wasteland of the Australian desert and faced off against Tina Turner while she sang “We Don’t Need Another Hero.” It was hardly a fitting finale to writer/director George Miller’s action-packed trilogy begun in 1979 with Mad Max and brought to new heights of delirious excitement in 1982’s Mad Max 2 (also known as The Road Warrior). For let’s face it, having Max regain his humanity by leading a bunch of rejects from The Lord of the Flies was as good an idea as having Ewoks running around in Return of the Jedi (1983). Damn the 80’s. Thirty years later Miller returns with Mad Max: Fury Road, a grand reboot of the franchise which made him famous. The setup is pretty much the same: Max (Tom Hardy, replacing Mel Gibson) is a loner in the dystopian Australian outback of the future, a man with only one goal: To survive at all costs. Captured by a mutant army led by a cult-like dictator named King Immortan Joe (Hugh Keays-Byrne), he unwillingly joins forces with Imperator Furiosa (Charlize Theron), a defector who has escaped with the despot’s five wives. And that’s pretty much it for plot: The rest is two hours of non-stop racing across the desert, as Max and Furiosa try to make their way to an oasis called The Green Place while trying to survive Immortan Joe’s attacks. It’s a wild pedal-to-the-metal ride, one with maniacal stunts – flying through the air, jumping from trucks, hanging from car bumpers, throwing exploding spears at a hundred miles an hour – and even wilder characters, including one guy who spends the entire movie strapped to the front of a semi playing a gigantic guitar that spews fire. Bonkers doesn’t begin to describe it. While technically proficient on every level – the stunts are mainly real, with some digital enhancement – Mad Max: Fury Road suffers a bit from having such a big budget. The original two films were mostly low-budget affairs, and the future they depicted felt more authentic: Grimy, disgusting, completely psychotic. There’s nothing here that matches the raw power and visceral thrill of the climactic truck chase in The Road Warrior. The characters felt really unhinged, and while Mad Max: Fury Road has some moments like that, it’s much safer and glossier. As Max, Hardy nicely navigates the evolution from raging madness to renewed, albeit reluctant, purpose. While he lacks the edge that made Gibson such a fascinating figure, he makes the character his own. But make no mistake, the film really belongs to Theron as Furiosa. She’s a hero for the ages, all kickass rage as a woman who stands up for herself and others, a strong yet vulnerable leader who’s mad as hell and just won’t take it anymore. She does wonders through body language alone, not just a fanboy’s fantasy but a strong, vital female character. It is telling that the film’s climax centers around her even more than Max himself, thus separating the film from its predecessors. In the end, Mad Max: Fury Road is a fun two hours of entertainment. But the relentless pummeling of freaks and machines duking it out in desolate wastelands ends up wearing a little thin, not quite making the impression of the original trilogy. Perhaps it’s a question of too much bombast or a better script, who knows. One thing is certain, though: The next film should be a spinoff. 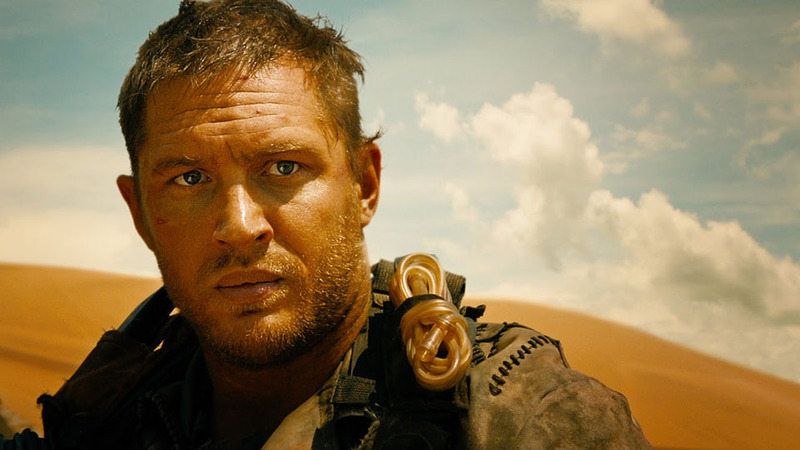 Mr. Miller, it’s time for Imperator Furiosa: The Road Warrioress.